It's hard to believe it's already May, and if you're like the rest of us in this city with endless lists and reminders, planning Mother's Day may have slipped from your mind. Don't worry, we've got you covered! This plan is so effortless, you'll wish all of your tasks could be completed this easily. Begin your Mother’s Day with lash extensions and spray tans at the city’s highest rated lash business, DC Lash Bar (that’s us! ), recently featured on National Public Radio. Experience what customers say is "truly some of the best [services] they've received." The results of the latest beauty phenomenons to hit Washington, D.C.—semi-permanent eyelash services and custom airbrush tans—will completely transform your beauty routine. Ditch the eye makeup, concealer and bronzer because you’ll wake up ready. 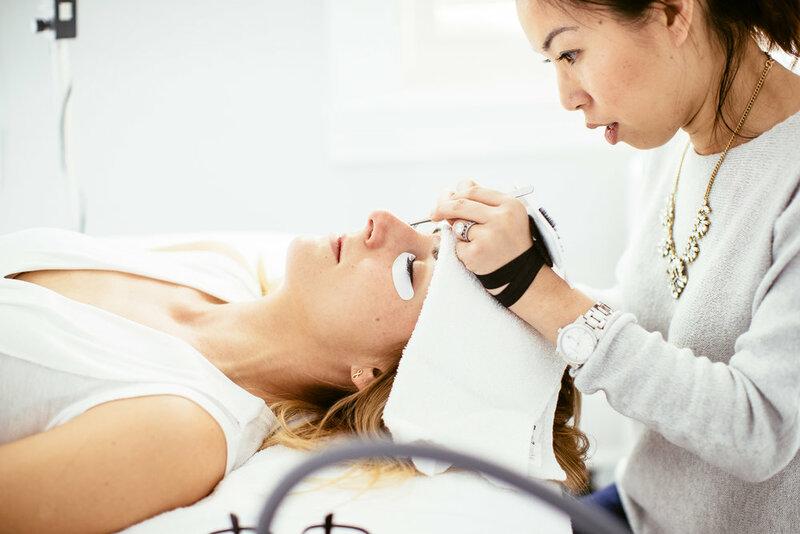 Oh and the best part—you can totally take a nap during your lash extension service. If you book an appointment between now and Mother's Day, you'll receive a $20 spray tan with the purchase of any full lash set. Make sure to book your eyelash service and spray tan online here using the code "momsthebomb" for $45 off your add-on spray tan service. Now you’re feeling even prettier than you already are and it’s time to swing by Lynn Louisa next door for some wardrobe inspiration. 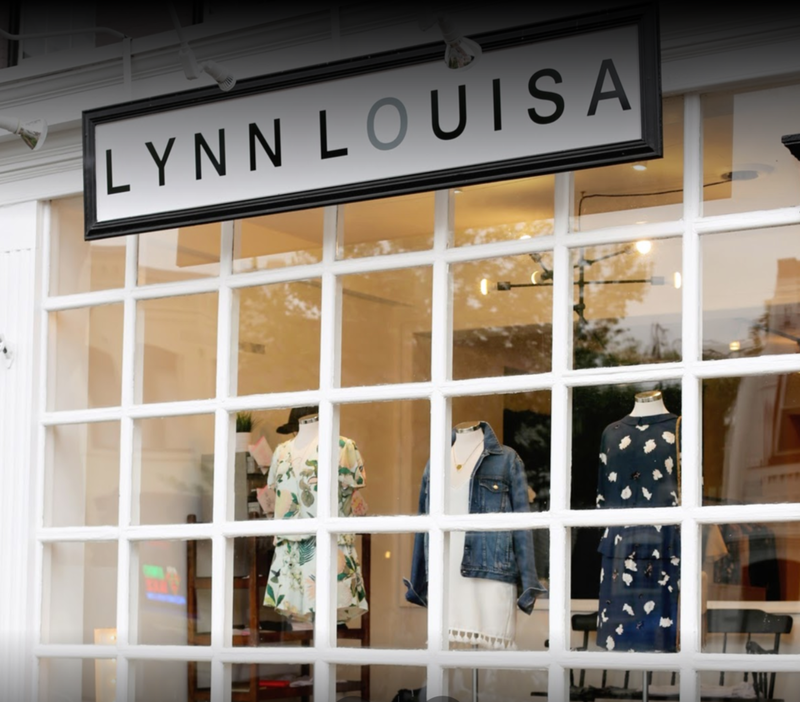 Rated by the Washingtonian as one of the best places to shop in 2016, Lynn Louisa is a one of a kind boutique known for both its ahead-of-the-trend and transitional pieces. It's carefully selected collections include modern brands like Mari Giudicelli, Toit Volant and Achro. Stock your closet with hot sellers pieces only found at Lynn Louisa and be prepared for compliments and questions about your striking items. If you're new to Lynn Louisa, or even a regular, you will enjoy a rare promotion just for Mother's Day. For every $100 you spend, you will receive a $25 gift card towards future purchases. Believe us, this is a deal you won't want to miss out on. It’s time to recharge after all that pampering and shopping. Grab a light lunch at a local French favorite tucked away just up the street, Patisserie Poupon. Indulge in their baguette sandwiches and famous, fresh-baked pastries while dining outside on their ivy-coated brick patio. You might forget you’re not in a cozy café in Europe! We love their chocolate croissants, pear tarts, brie baguettes, and Illy coffee. 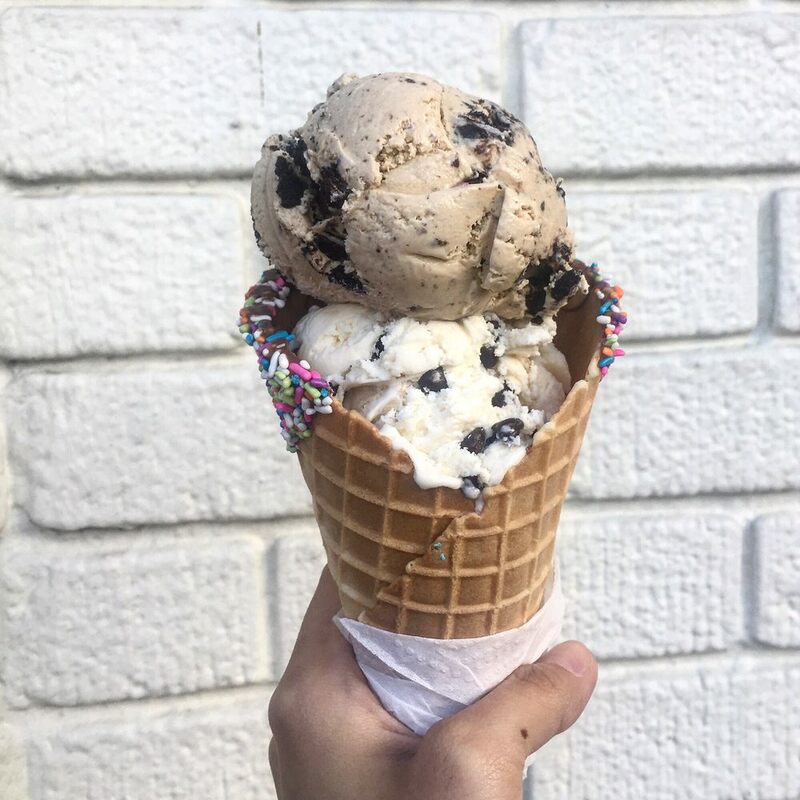 If you’re craving something cold and sweet after lunch, swing by Thomas Sweet down the street for ice cream with a vintage vibe. Ok, it’s not much of a hidden treasure, it’s a well-known ice cream shop that often boasts a line out the door. But since you’re already on Wisconsin Ave, we wouldn’t want you to miss it. Thomas Sweet serves up sorbets, frozen yogurt, and over 15 flavors of house-made ice creams and blend ends. Visited by past presidents and adored by students and locals, this ice cream shop will be sure to cure any type of sweet tooth. 3:00pm: Stroll through the gardens. 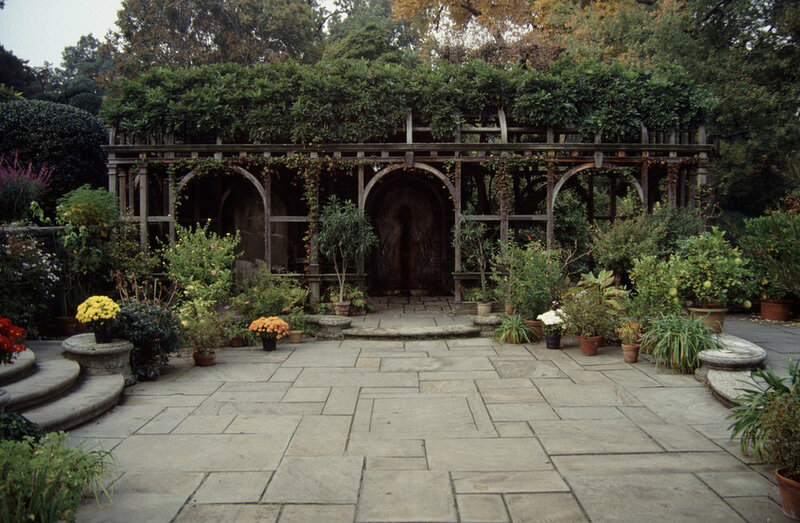 End your day at one of DC’s best-kept secrets, Dumbarton Oaks Gardens. Admission is $10 and the price is well worth it for the breathtaking landscape. Follow swirling brick paths through rose gardens, orchards, and elegant terraces as you walk off that ice cream. Make sure to stop for plenty of photo ops! Click the map below for exact addresses and locations. Street parking is available for free all day on Sundays. 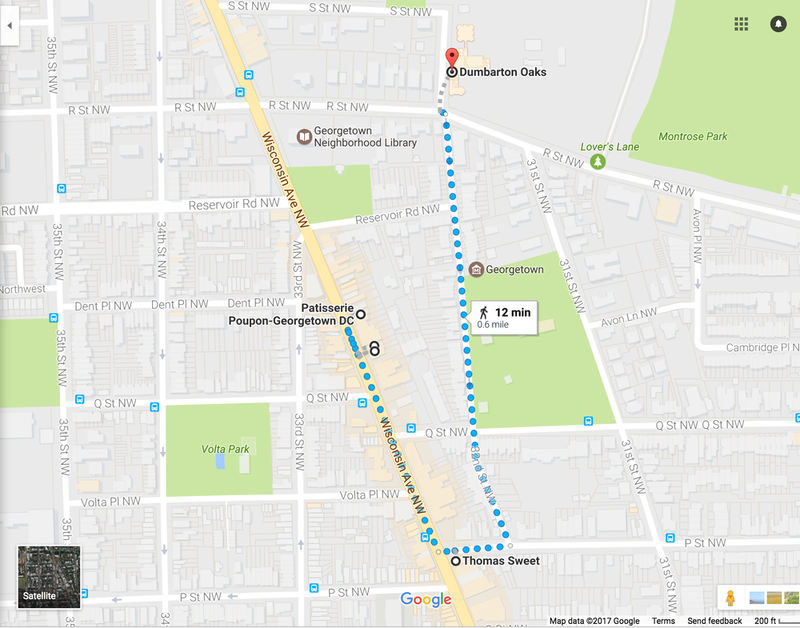 We recommend parking on streets neighboring Wisconsin Avenue. What do you think about that for a Mother’s Day plan? Tell us in the comments section.